Improving the productivity of employees in the contractor business can mean a couple different things. From project planning to employee morale, productivity can be affected by many factors. These hold true for large construction companies as well as individually owned local contractors. But the end result is that the company must pay its employees’ salaries, cover the overhead expenses and ultimately earn a profit. To do this, much attention should be spent on ways to improve productivity. 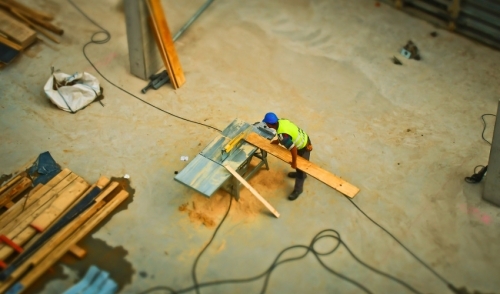 Increased productivity can benefit the contractor in many ways. The projects are completed more quickly and the costs are lowered. This allows for the ability to submit more competitive bids for future business. It starts at the top. The construction project must be planned properly to maximize the use of employee’s time. That includes planning for unforeseen circumstances like weather conditions, equipment issues, and delivery issues. It’s important to plan ahead and ensure that adequate materials are on-site for the employees to use. Likewise, scheduling of inspections and delivery of heavy equipment must be considered a priority. It’s the project manager’s responsibility to give the employees the proper opportunity to do their jobs effectively. With the construction business in particular, it’s very important to ensure that the crew is properly trained. A well-trained work crew obviously is much more productive. However in the construction business, a well-trained work crew is also much safer. That easily translates to happier, healthier employees with less downtime due to injuries. Training should include not only how to operate equipment, perform tasks and follow safety practices, however. Employees should also be aware of the positive effects of productivity for the overall company. Let them see how increased productivity leads to fewer hassles and greater profits. This way, when a new, more productive way of doing something arises, employees should better understand the change and why it was made. Allow employees take part in discussing productivity. You’ve got several years of experience among them, and it makes sense to draw from that knowledge base. Let the know their suggestions are welcomed—even to the point of offering a reward or incentive for suggestions that increase productivity. Some employees respond to more direct incentives. For example, workers who complete a project in less time than estimated and with little or no errors might be offered a completion bonus of some kind. More broadly, offering employees a stake in the job as a whole (provided conditional factors such as time of completion, quality and safety) can be an incredible incentive in keeping them as productive as possible. On a more personal level among employees, there has to be a level of trust. From the top on down, mutual respect and the ability to rely on each other breaks down many limiting factors to productivity among employees.